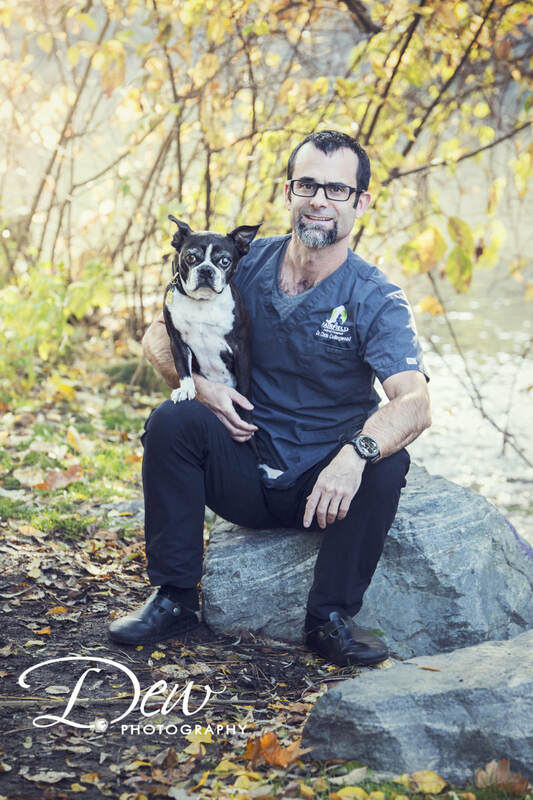 Dr Stephen Ganton - I was raised in Kelowna, and started working as a high school student at Fairfield Animal Hospital when it was owned by Dr. Alan Gill. I attended University of Victoria and then WCVM (Western College of Veterinary Medicine) while working summers at Fairfield Animal Hospital as a kennel assistant. After graduation, I joined Fairfield as an associate. In 1998, I bought the practice from Dr. Gill. I have always had a special interest in emergency medicine, and have been a member of the VECCS (Veterinary Emergency Critical Care Society) since 2000. It was my dream to transform Fairfield Animal Hospital into the 24 hour emergency facility for the Okanagan Valley. In my free time I enjoy running triathlons, which includes completing in two Iron Mans. My family includes my Lab named Westin who is my running partner, my Bassett Hound named Watson, two cats, Charlotte and Oliver Twist, and I recently rescued Mastiff cross named Coco. Dr Jennifer Watt - I was born and raised in Winnipeg, Manitoba. 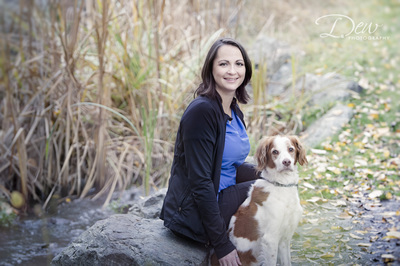 When I was a teenager, I watched a family dog go through a difficult time with epilepsy, and decided I wanted to dedicate my career to helping pets and their owners. 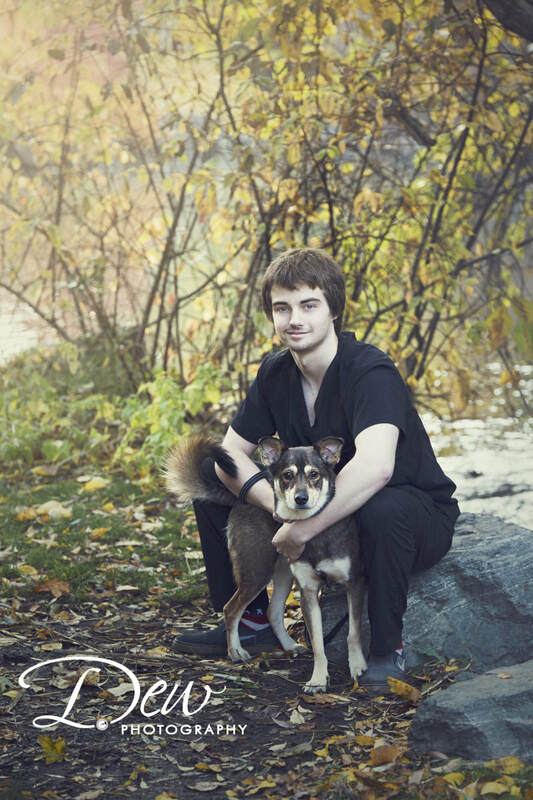 After graduation I worked for the Winnipeg Emergency Clinic, gaining experience with emergency veterinary medicine. After some time, I moved on to working for the Winnipeg Humane Society. 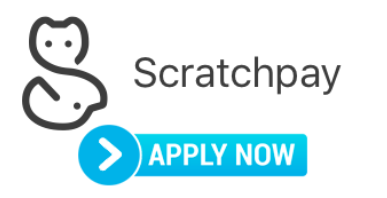 There I developed a broad range of small animal medical and surgical experience. 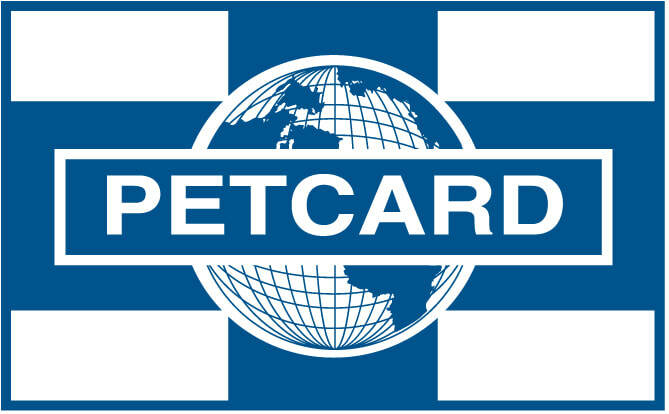 I enjoy working with owners to make the best choices for their pets, based on their individual families and circumstances. 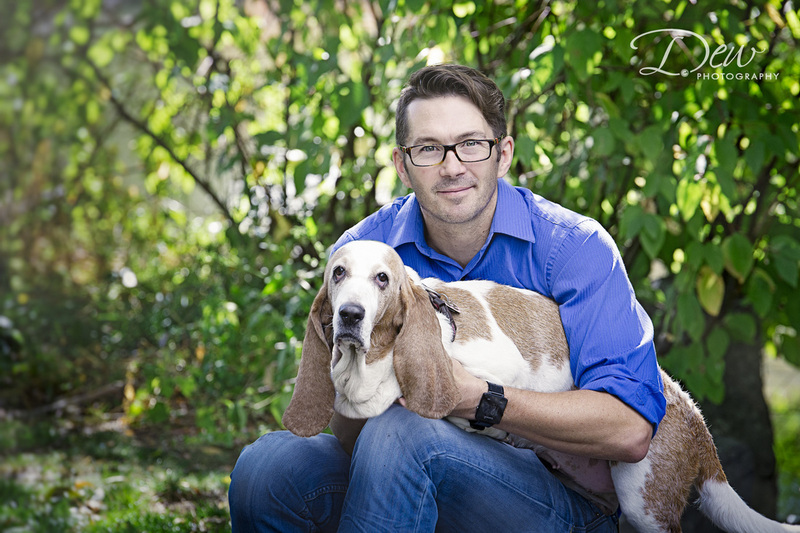 I love hearing clients’ stories about their pets, and how much joy they bring to their lives! I live in a household with three generations of family members! It’s hectic, but it works! Throughout the years, I have rescued many animals and given them a great home. I believe that karma exists, and that anything is possible if you work hard and don’t give up. Dr Kai Ng graduated from the Atlantic Veterinary College in 2008. Afterward he spent a year doing an internship at the Western College of Veterinary Medicine. His veterinary interests include internal medicine and radiology. He lives on his hobby farm with his various horses, cats and dogs and his lovely wife Dr. Deanna Jenner and children Mei- Lei and William. Dr Laurel Casey - I was born and raised in a small town in Nova Scotia, and always had a passion for animals. My dad told me once that he knew I would become a veterinarian when I grew up because I would play with and talk to every animal I saw - I would even kiss the bugs in our yard goodbye before coming back inside the house! After vet school, I worked in Nova Scotia briefly before traveling abroad to Australia and New Zealand. Upon arriving back in Canada, my husband and I decided to pack our bags and drive across Canada to Kelowna, BC to enjoy the sunshine. We live happily with our loveable Golden Retriever Bodie and my draft horse named Lyla. My goal with every patient visit is to educate owners on what is going on with their pet, so that they can make the best decisions about their care. I always try to treat others the way I would like to be treated, whether that be clients, patients, or the wonderful staff I work with! Dr Franzi Ruder - I’ve had a deep love for animals ever since I was a young child, growing up in a small town near Leipzip, Germany. I have always enjoyed the idea of being able to help an animal live a long and healthy life alongside their owner. For many of us, animals are a very important part of our families and need to be treated so. Also, no two days are alike in the vet clinic, and this gives me joy! I began my career as a veterinarian in Regina, where my husband has Saskatchewan roots. After an exciting year of travelling through Europe with my husband and young son, Lennon, our family decided to make the move west to the beautiful Okanagan! My family now includes my daughter Ellie, and a very adorable and “toddler tolerant” kitty named Princess Patches. 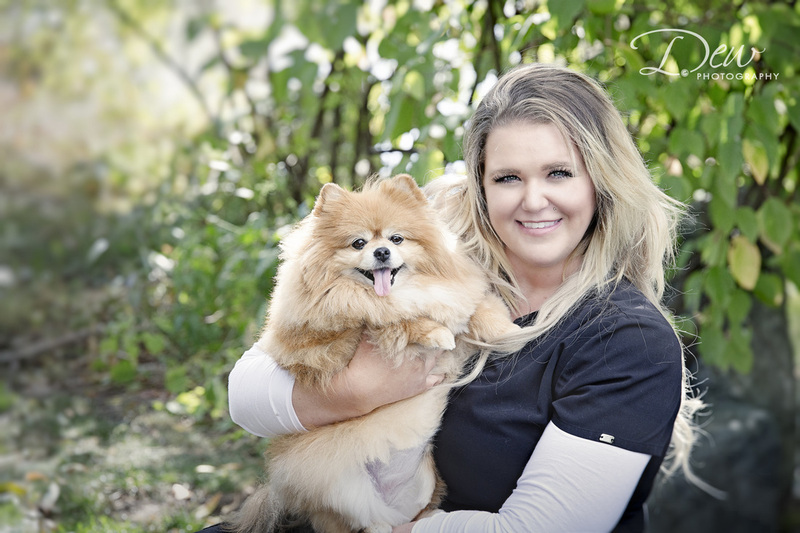 My goal during every patient interaction is to provide the best medical care for the animal, starting with a thorough examination followed by diagnostic and treatment planning, while maintaining good rapport with both the patient and the owner. I am always reminding myself of how it feels to be the owner of an animal in need of care, and try to combine smart medical decision making with a compassionate attitude toward the family. Ultimately, I want to improve the quality and length of all the pets’ lives that I see. Dr Lily Miller - I grew up in Enderby, BC. 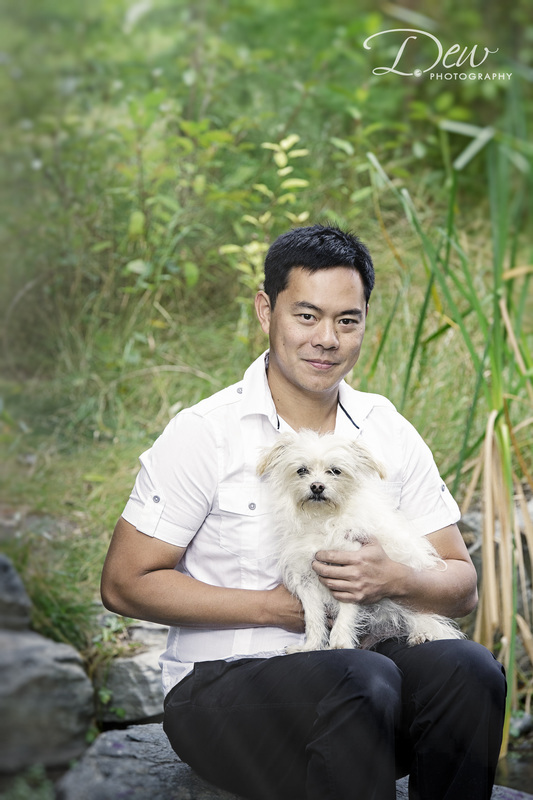 At the age of 9, I decided I would become a veterinarian because of my deep love for animals. As I got older, my youthful ambition ended up perfectly in line with my passions and personality - I grew up to be a big science geek with a love for medicine! 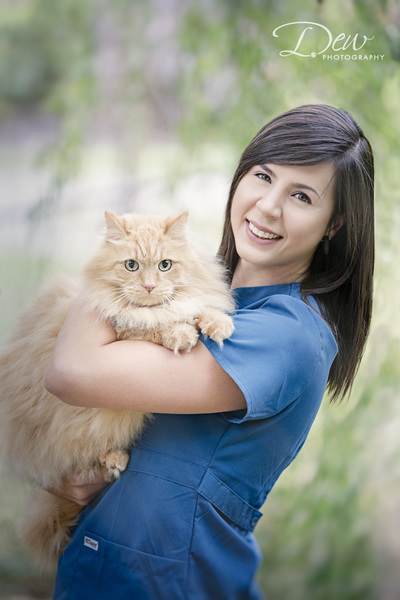 After graduation from the Western College of Veterinary Medicine in Saskatoon, I have worked in both companion animal and large animal medicine in the Okanagan. My love for emergency medicine led me to Fairfield. I really enjoy the fast paced environment, thinking on my feet to treat and save the lives of emergency patients. 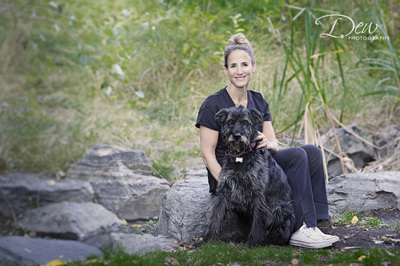 My goal with every patient visit is to relieve pain and suffering, and work with owners to help them understand their pet’s condition as clearly and simply as possible so that they can make the best choices for their furry family. During my days off, I enjoy spending quality time with my husband Scott, and the many animals in my family. I have three dogs named Sniff, Ripley, and Louie; six cats named Frank, Larry, Angie, Bans, Walter, and Stanley; and a beautiful horse named Belle. Dr Caroline Ohse - I've always been drawn to animals since a very young age. I grew up on a hobby farm, and by learning to care for my own horse by the age of 10, I developed a passion for working with and caring for all kinds of animals. My furry family include my pony Snickers, who's been my companion for over 18 years. I adopted my dog Finnigan from a rescue organization in Hungary while attending vet school in Germany, and now he joins me at work everyday! Finn is very active, so we love to go on hikes and explore our beautiful valley together. My goal with every patient visit is to foster compassionate and high quality care in a comfortable environment, for both the pets and their family. I’ve always believed that if you love what you do, you’ll never work a day in your life. 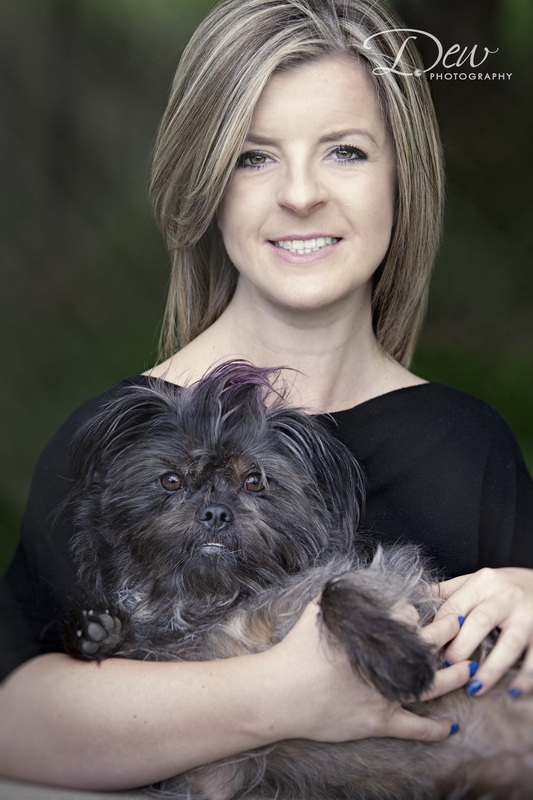 Dr Julia Gray - I have always admired the human-animal bond. 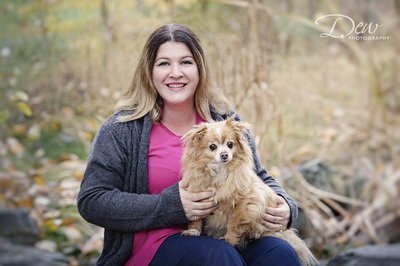 I grew up in Kelowna caring for my horse as a young girl, and after nursing her through various ailments as a teenager, I knew I wanted to become a veterinarian so that I could continue helping animals. My goal with every patient visit is to provide the best medical care for my patients, while ensuring that my clients feel comfortable. I focus strongly on communication - ensuring my clients feel their questions are being answered, and that instructions for care are clear easy to understand. I have a large family! It includes my husband; my three dogs Hank, Kobi, and Layla; my four cats Fritz, Selina, Jimi, and Pebbles; and my two horses Dharma and June! Dr Anna Huber -I always wanted a career that would let me make a positive difference in the lives around me, both animal and human. I love the challenge and variety that exists working in veterinary medicine - every day is a new adventure! I want every vet visit to result in the pet and their owner feeling better than before they saw me. Everything from a simple vaccine visit to an end of life discussion should ease or prevent suffering, minimize fear and stress, and help owners make the best decisions for themselves and their animals. Compassion comes first. I believe we must approach our patients, their owners, and ourselves with compassion, always. This is my guiding principle in all situations and decisions I am faced with as a veterinarian, from the most simple and routine, to the most complex and challenging. I have three very fluffy fur kids at home - my naughty American Eskimo/Border Collie cross named Mulder, and my two longhaired cats Frankie and Ted. Yes, I spend a lot of time vacuuming (sigh). 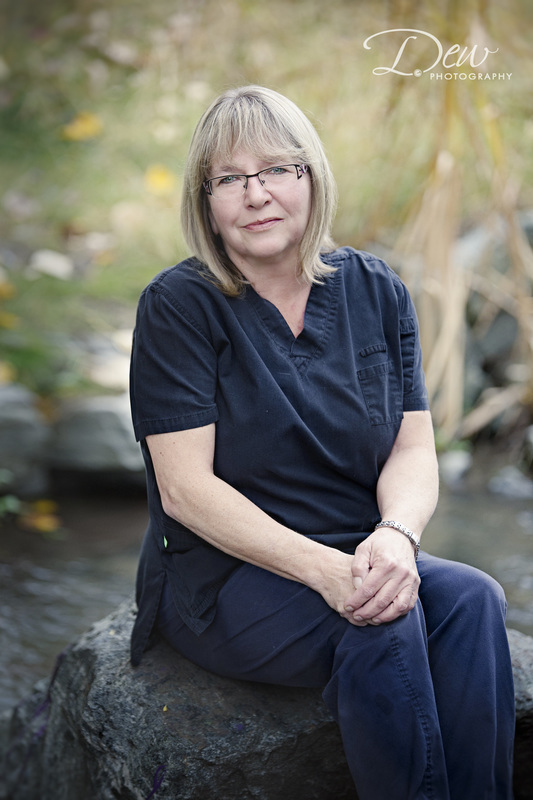 Dr. Deanna Jenner was born in Regina, Saskatchewan but moved to Kelowna BC with her family as a young girl. She always had a passion for animals and after much persistence was able to talk her mother into first a pet dog, then a second. Eventually her Mom lost control of the pet number in the house at which point cats, rabbits and horses became family members as well! Deanna has always wanted to become a veterinarian as long as she can remember. 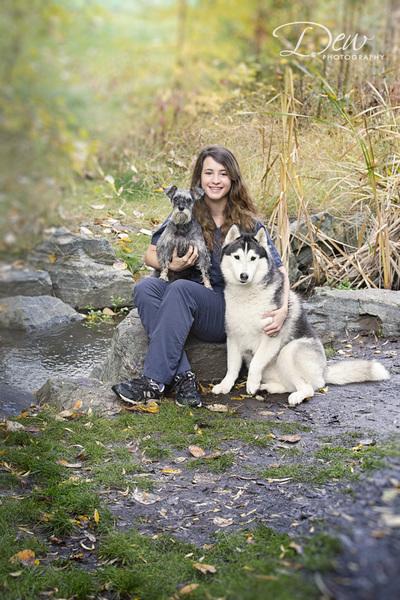 She attended Simon Fraser University in Burnaby BC where she fulfilled her pre-veterinary requirements, then reluctantly made the move back to Saskatchewan to attend the Western College of Veterinary Medicine. Deanna graduated from the WCVM in 2009 with honours and promptly returned to the Okanagan Valley with her husband Dr Kai Ng. Kai and Deanna live on a small acreage in the Kelowna area where they raise Swedish Warmblood and Paint horses. They share their house with several cats and dogs but refuse to reveal exact numbers! Kai & Deanna have two children, Mai-Lei and William. Shannon - Practice Manager/Registered Veterinary Technician - Shannon graduated from Thompson Rivers University as a Veterinary Technician but has worked in many different aspects of the veterinary world including: marine and wildlife medicine, emergency medicine, teaching and now hospital administration. 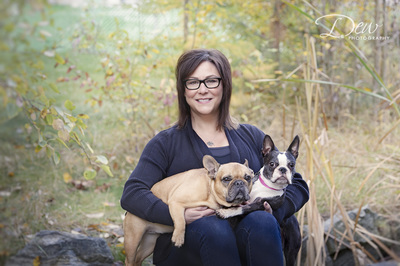 She has a soft spot for squishy faced dogs and shares her home with Kiwi the French Bulldog. Megan - Reception - Megan moved from Ontario to Kelowna when she was 5 years old and the street she lived on in Shannon Lake consisted mostly of her family! Between the families they shared dogs, cats, hamsters, bunnies, rats, iguanas, geckos and a pot bellied pig! Megan has always been surrounded by animals so it seemed only right that she work in a vet hospital. She has a dog named Griff, two cats named Shrimp and Bruce, and would love to open her own rescue organization someday! Brenda- Reception -Brenda was raised in Kelowna and has had a passion for animals from a very young age. 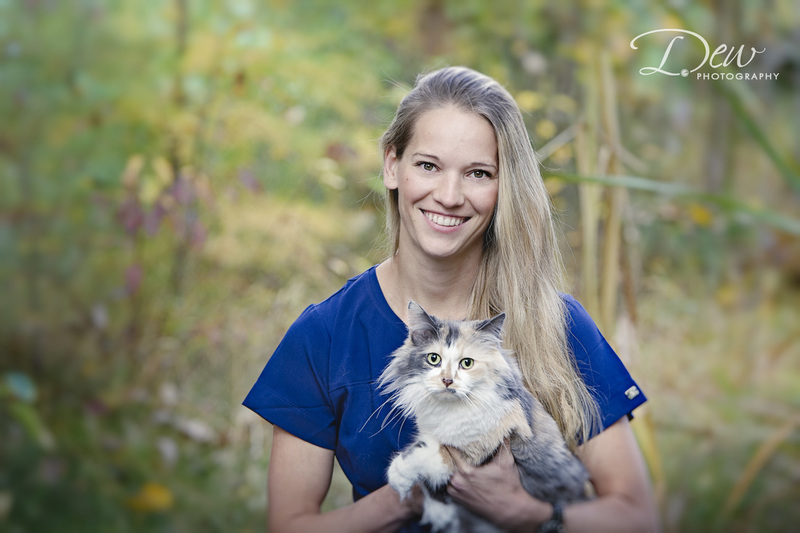 She has worked in the veterinary field for the last 18 years and her passion for animals has only grown stronger! Her family consits of a very understanding husband and two grown, critter crazy kids! 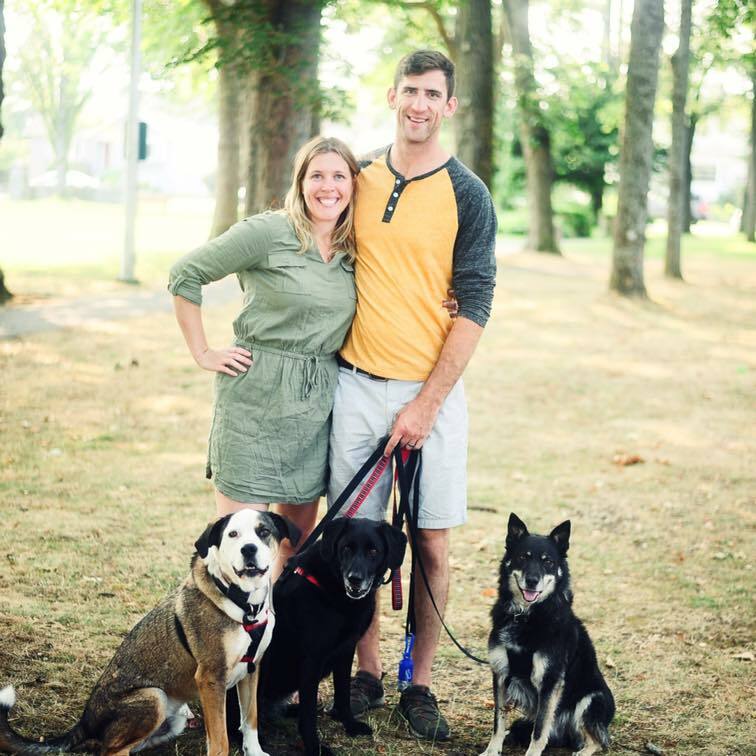 Her furry family includes 7 horses, 3 dogs, a love bird, hermit crabs, fish and chickens! Is it any wonder all cards sent from her home are from "The Zoo Crew"? Heather - Animal Health Technologist - Heather was born and raised in Kelowna and although she lived in the Kootenays, Calgary and Nanaimo she migrated back here in her early twenties and has remained here ever since. She shares her home with her husband and two daughters. They have a small farm that their furry family members enjoy. She has a blue heeler cross, four cats, three horses and a flock of laying hens, all of whom have been taken in as strays! She enjoys her appaloosa and is now starting her quarter horse colt. In her rare spare time she enjoys playing soccer and working around the farm. 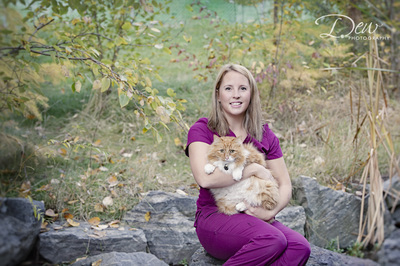 Kristina- Registered Veterinary Technician - Kristina was born and raised here in Kelowna. She moved to Calgary to attend NAIT (Northern Alberta Institute of Technology) for the Animal Health Technologist program. 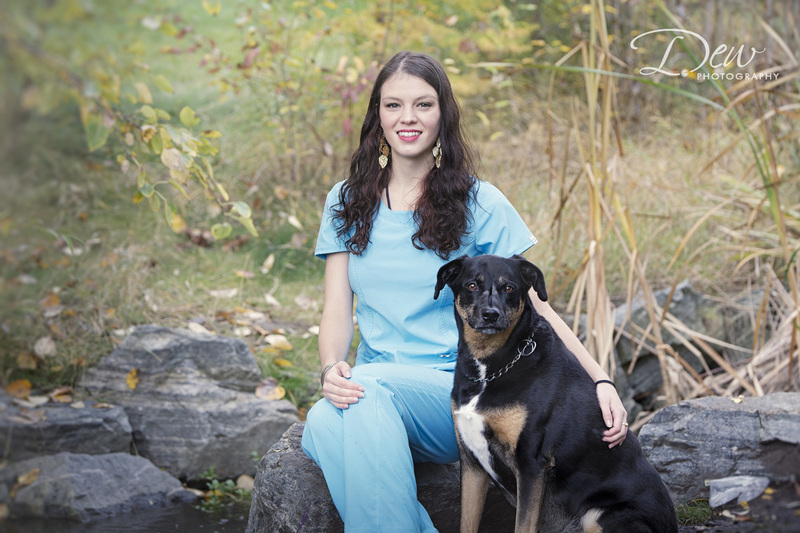 She completed her practicum at Fairfield Animal Hospital and started working with us immediately following her graduation. 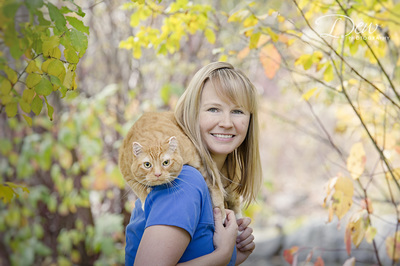 Kristina enjoys living in Kelowna with her cats Geno and Meeshie. Amanda- Animal Health Technologist - Amanda was born and raised in Regina, Saskatchewan. She moved to the Okanagan in 2007 with her best friends and fell in love with Kelowna! She completed her Veterinary Office Assistant program in 2010. Amanda is one of our overnight emergency care nurses and loves the fast pace of nights at Fairfield. She has a Beagle named Smokes and a Silky Terrier named Fry. She also has a Highland Lynx cat named Keymoh and an orange tabby named Eddy, who was surrendered to the clinic. 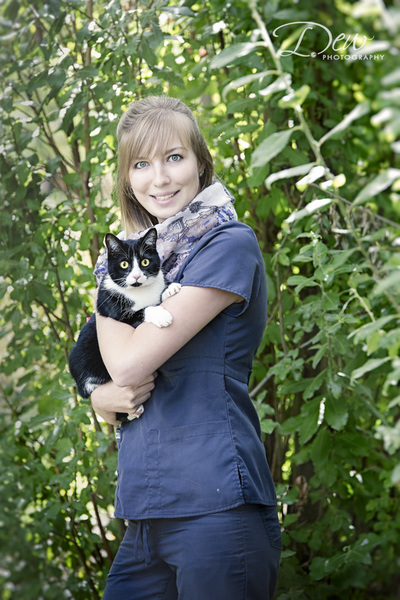 Hannah - Registered Veterinary Technician - Hannah grew up in Camrose, Alberta before moving to Kelowna for high school. She started volunteering at a vet clinic at age 13 and went straight to tech school after graduation. She started working at Fairfield between and first and second year at Thompson Rivers University and came back after graduation in 2016. Hannah has a cat named Cinder and a dog named Oakley whom she adopted from the program at TRU. She enjoys hiking and camping during her spare time. Brittney - Registered Veterinary Technician - Brittney wanted to work with animals from a very young age. She attended the Algonquin college in Ottawa Ontario for Veterinary Technology, where she graduated in 2013. Brittany started with Fairfield in mid 2015 and is loving it! In her spare time she enjoys traveling, camping and the beaches of the Okanagan! At home she lives with a sassy, adorable Pomeranian named Foxy, who she brings along on all her outdoor adventures! 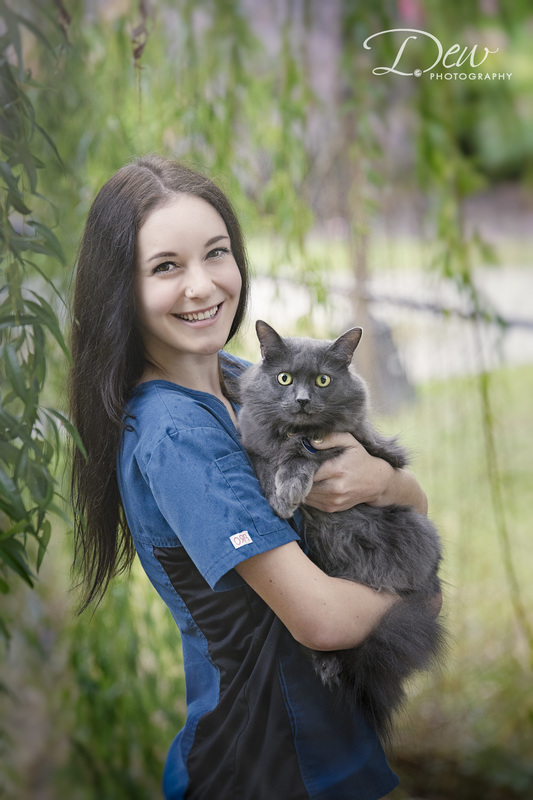 Nikki - Reception - Nikki started working for The Interior Pet Health Group in 2016 after completing her Veterinary Hospital Assistant Course. Before then, she had completed an Asc. Science Degree from UBCO. Nikki was a Research Analyst at Disney Interactive for 7 years before deciding to pursue her dream of working with animals. In her free time she loves kitty snuggles from her best furry friend Norman, reading, and time spent outdoors. 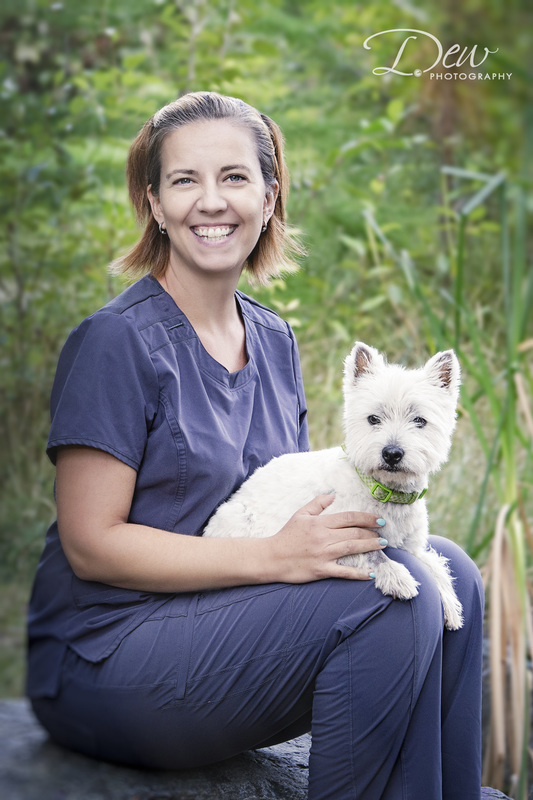 Kelly - Registered Veterinary Technician - Kelly started working with animals as a volunteer with the Winnipeg Humane Society in 1997. 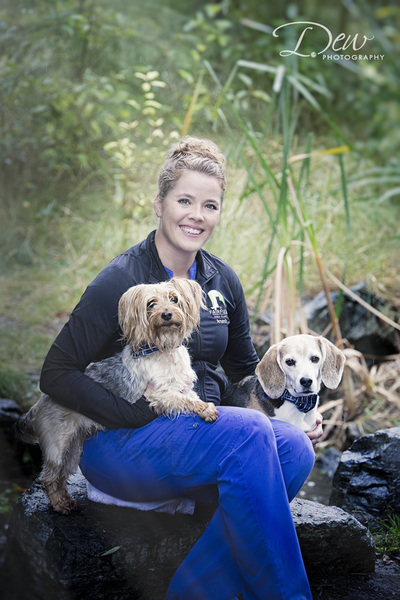 After a few years of working in various animal hospitals she graduated from Thompson Rivers University having earned her Animal Health Technician diploma in 2005. Kelly's family consists of her husband, 2 sons and her young daughter. At home, she loves oil painting and of course spending time with her family and new puppy Jeff! Michelle - Registered Veterinary Technician - Michelle has always had a way with animals. Growing up on a farm in Golden, B.C. gave her the opportunity to live with and care for various types of animals. 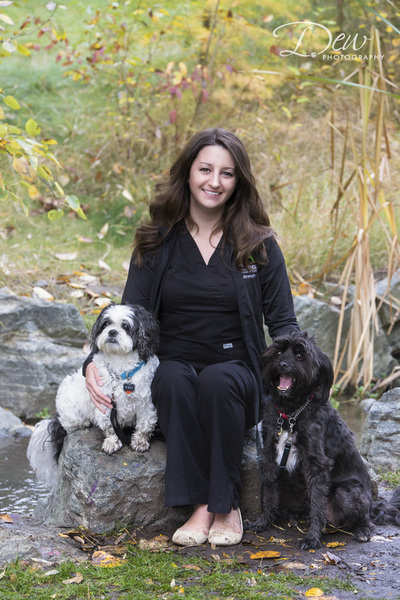 Michelle graduated from the Animal Health Technology program in 2011 and moved to Kelowna in 2012. Shortly after starting at Fairfield she adopted an abandoned street kitty, named Sassy, who was brought in for head trauma. Sassy has since fully recovered and Michelle is a very proud cat mommy! 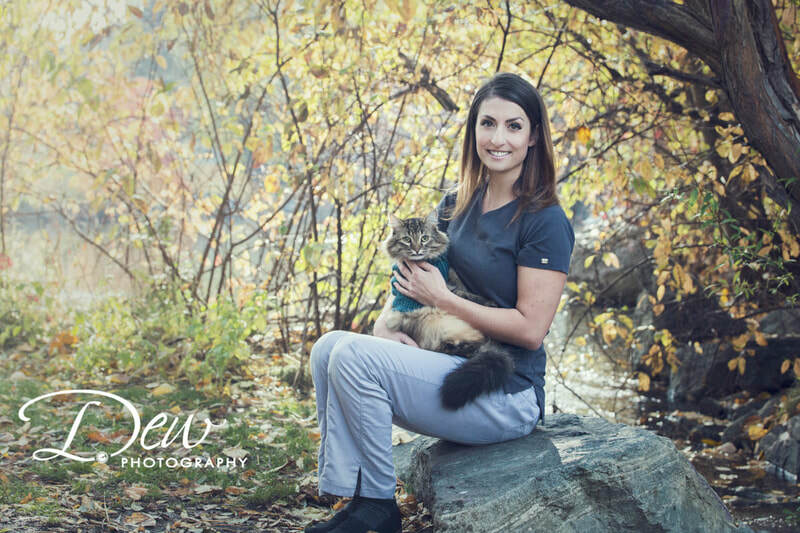 Nicole - Registered Veterinary Technician - Nicole was born and raised in Castlegar, in the Kootenays. She graduated from Thompson Rivers University in 2012. Nicole moved here, to work for Fairfield, because she has always wanted to work in the emergency medicine field. Nicole has a Shih Tzu named Penny and two cats named Harold and Ralph. She loves hiking with her dog and playing fastball. 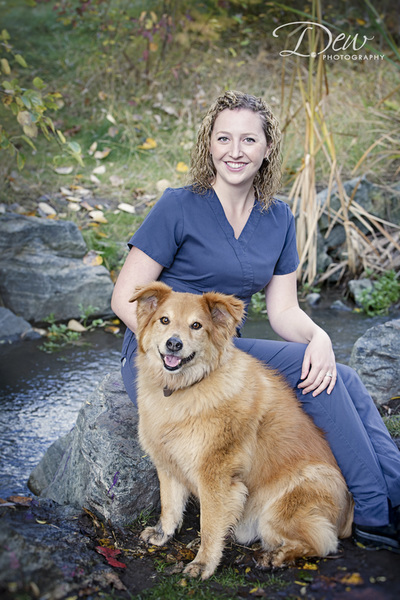 Justine - Registered Veterinary Technician - Justine grew up on the Lower Mainland. She enjoyed spending her summers in Kelowna and after graduating from Douglas College she moved permanently to the Okanagan. 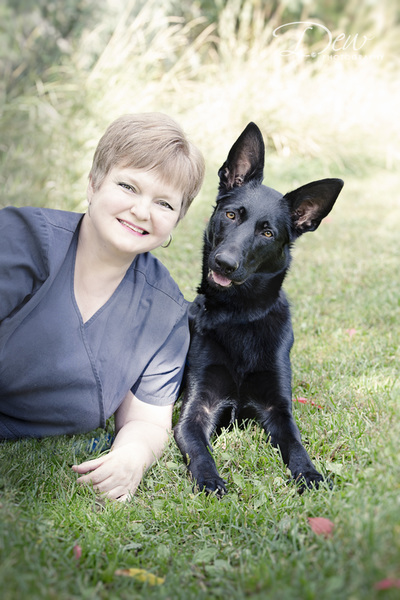 She joined the Interior Pet Health Team in 2011. In her spare moments she enjoys snuggling with her kitties Isabelle and Rupert, as well as horse back riding. Natalie - Reception - Natalie was born and raised in Kelowna, and graduated from the Centre for Arts and Technology's Veterinary Hospital Assistant program. In her spare time, she enjoys hiking and exploring the outdoors, and also lazy days inside spent reading, alongside her cat Buddha. 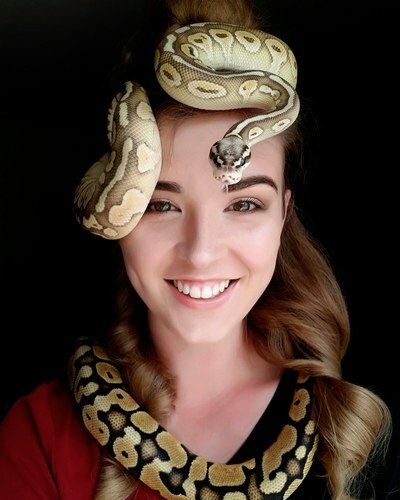 Morgan - Reception - Morgan grew up in a small town in Saskatchewan, and has always had a love for animals of all kinds, especially snakes! Along with her five pet snakes, she also has one dog, two cats, four rats, and four goldfish - quite the zoo! When she is not spending quality time with her furry and scaly friends, she is often found playing sports of all kinds, like baseball and volleyball. 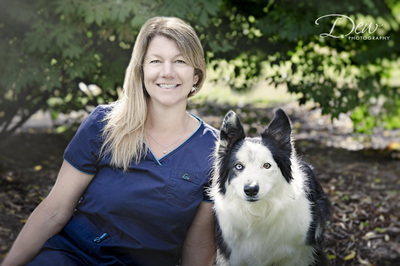 Wendy - Animal Health Technologist - Wendy was born and raised in the Cariboo region. Wendy and her husband Mike moved to Vernon in 2010. Wendy commutes daily to work with our team. Wendy previously worked at a busy mixed practice in Williams Lake. She has two grown daughters and a young Great Dane cross, that she spends time with whenever she can. Wendy is one of our overnight nurses for the busy emergency portion of our practice. 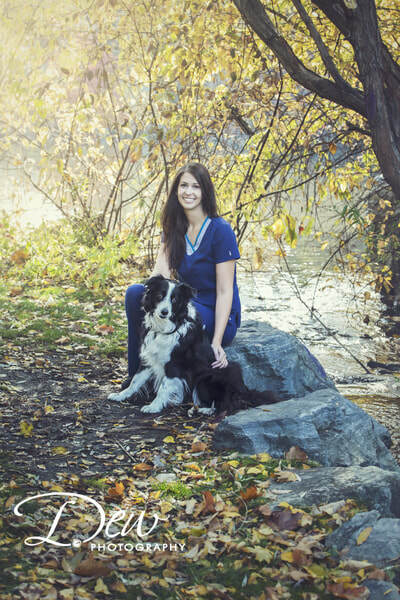 Kristen - Registered Veterinary Technician - Kristen grew up in Corner Brook Newfoundland and started working in vet medicine at 17. She graduated from tech school in 2013 and moved to Kelowna directly after. Kristen lives with her two dogs Tigs and Zooey, kitten named Arwyn, three rats and a skink named Remington. She has a passion for working with fearful and aggressive dogs (especially the Nordic breeds!) and exotics. 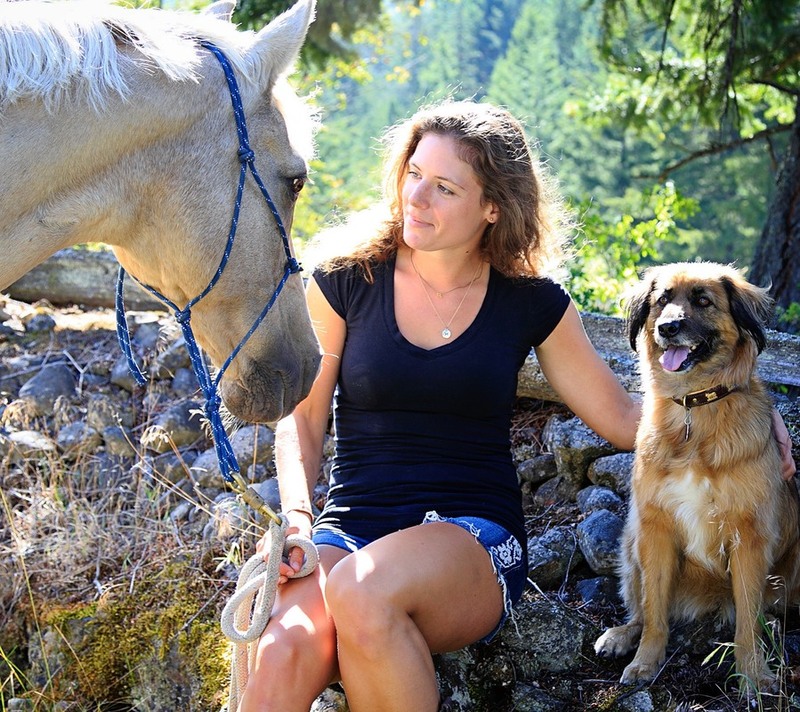 Most of her spare time is spent in the forest with her dogs or snowboarding at Big White. Marnie - Registered Veterinary Technician - Marnie was born and raised in the Kootenays, in a small town called Montrose. She rode horses for most of her teens and young adult life, and always grew up with cats in her home - she would have had as MANY as possible, but usually just one at a time thanks to her responsible parents! 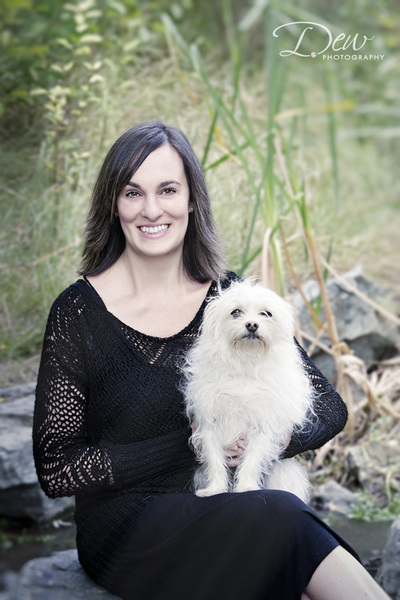 Marnie lived in Victoria for 10 years and completed a Bachelor of Arts degree in Art History in 2009 from UVic. 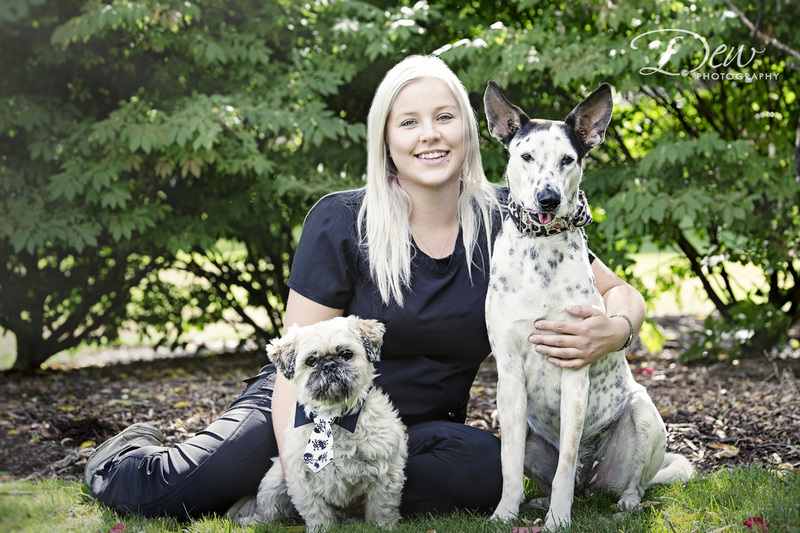 She worked as a carriage driver in Victoria for 8 years before deciding to pursue her love of animals, and completing the Animal Health Technology program at TRU in 2016. 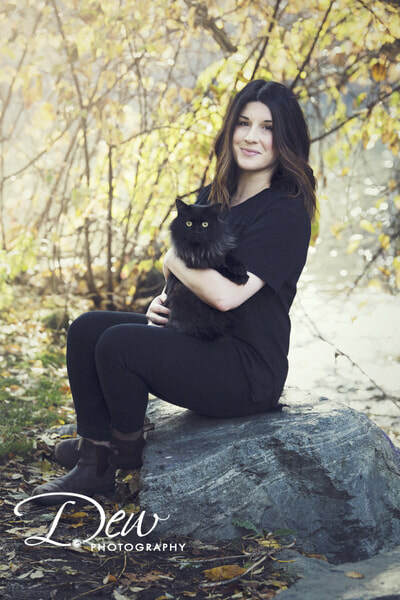 Marnie adopted her beautiful kitty Magpie from the school’s program, and added a second kitty to her furry family in her first year of work in Kelowna, a fluffy girl named Finch. Marnie has a passion for feline medicine, and her primary veterinary interest is in decreasing stress in cats in the hospital. In her spare time, she loves listening to records, and enjoys the Okanagan’s more moderate temperatures (spring and fall). 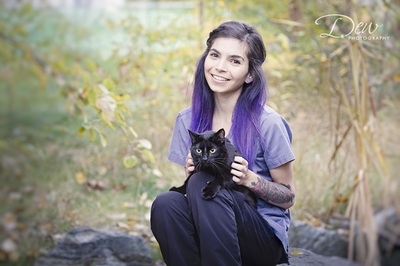 Rissa - Registered Veterinary Technician - Rissa is originally from Victoria BC, and moved to Alberta in 2008 for college. Having a passion for horses from a very young age she decided to study Equine Science at Old's College, as well as spend a year in West Virginia at Meredith Manor International Equine College, where she received certifications in equine massage therapy, training, and teaching. 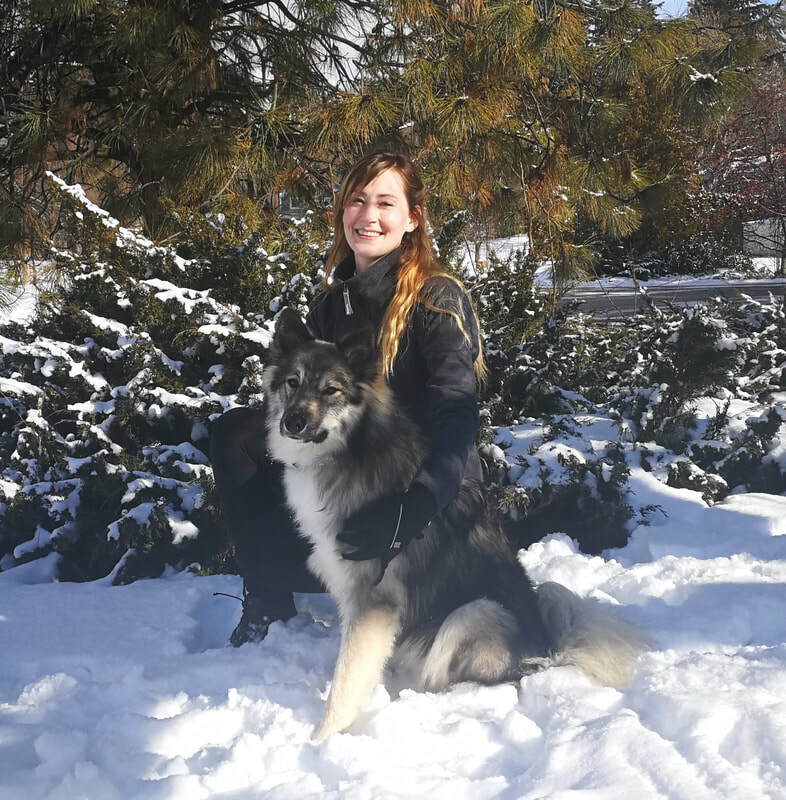 Rissa worked as a professional horse trainer for 5 years in Edmonton, then in the summer of 2014 decided to continue her education and apply to NAIT in Edmonton to become an Registered Veterinary Technologist. After graduating last spring in 2017 Rissa decided to move to the Okanagan! In her spare time she enjoys going hiking with her Boarder Collie Cj, camping and snowboarding. Anne - Registered Veterinary Technician - Anne was raised in Whiterock BC. Anne always had dogs and cats in her childhood home. Growing up, she spent much of her time riding and competing three day event horses. In 1997 Anne decided to pursue a career as a veterinary technician, getting her education at Thompson Rivers University in Kamloops. Since graduating, she has found a passion for emergency medicine, enjoying the fast paced variety it offers. 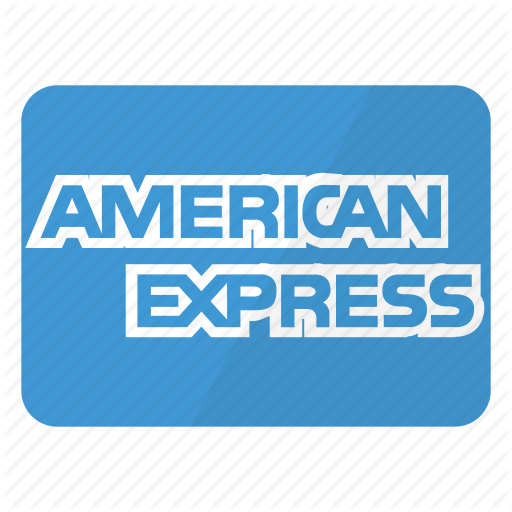 Anne, her husband and two children live on a small hobby farm, where they breed and show top quality dressage horses. Like most people in Veterinary medicine, Anne has a menagerie of small animals who share her home. With work, a young family, horses, small animals and the farm, life is never boring! 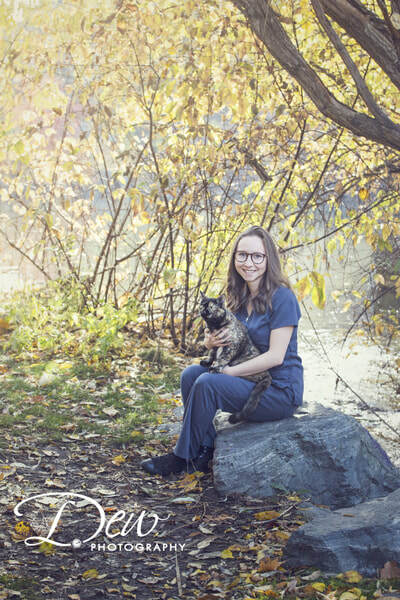 Martina - Kennel Technician - Martina grew up on an acreage in Osoyoos, BC where she and her family cared for many cats and dogs! After high school, she moved to Kelowna to pursue her love for animals by completing the Veterinary Hospital Assistant course at the Centre for Arts and Technology. Ashley - Kennel Technician - Ashley has always put her all into her academics, which resulted in high averages in high school. She is always punctual and takes her work very seriously. She is a strong team player but can also achieve great academic success solo. When she isn't hard at work she enjoys playing with her dog Sasha, cat Zerraya, and her new kitten Tobias. 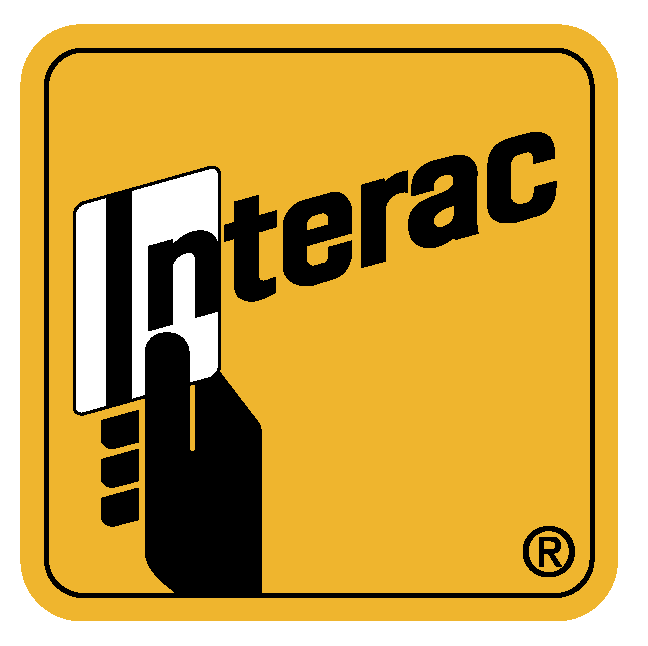 Nick - Kennel Technician - Nick grew up on a farm in South East Kelowna, where he garnered over 1000 hours of animal husbandry experience caring for their horses. He is currently working towards his Engineering degree at UBCO, and in his spare time he enjoys spending time with his three dogs Ozzie, Woody, and Frank. Brenda - Reception - Brenda was born and raised in Kamloops, she moved to Kelowna in 2007 where she met her husband. Brenda completed the Veterinary Office Assistant program at Granville Business College in 2009, and has been working at Fairfield since 2011. When she’s not working Brenda loves spending time with her husband, daughter and her dogs.